What better way to dress up your mug than with a hug!! Cute and easy to make, you'll want to dress up all your mugs in hugs! Makes a great gift as well and uses up those leftover yarns too! Permission is granted for the purchaser of this pattern to make and sell the finished objects provided that the name of the pattern and copyright is clearly displayed to purchasers of finished objects at the time of sale. (E.g. 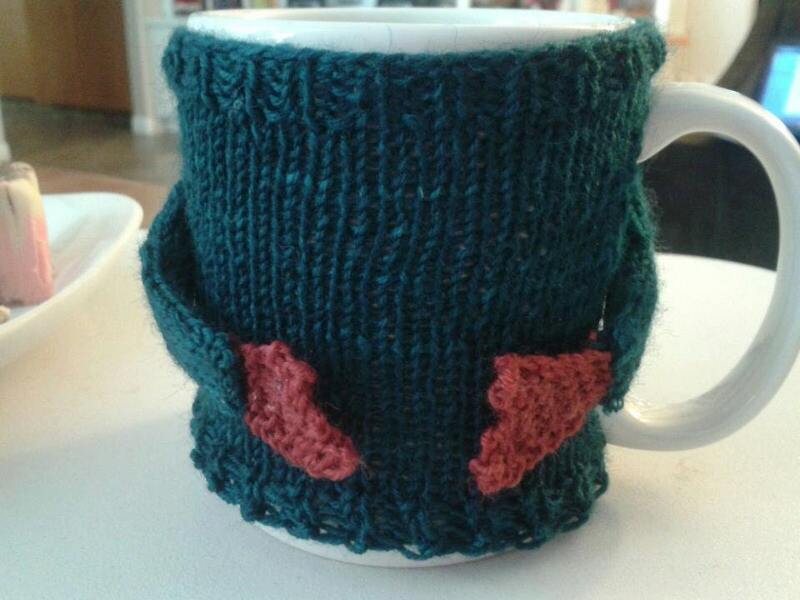 ; The Mug Hug by Gecko Yarns, copyright).